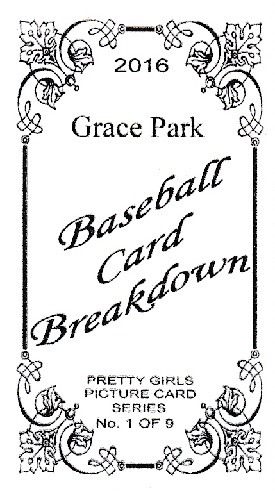 Back on Valentine's Day, cardboard blog readers were treated to something exceptionally special over at Baseball Card Breakdown when Gavin revealed hisPretty Girlsset. 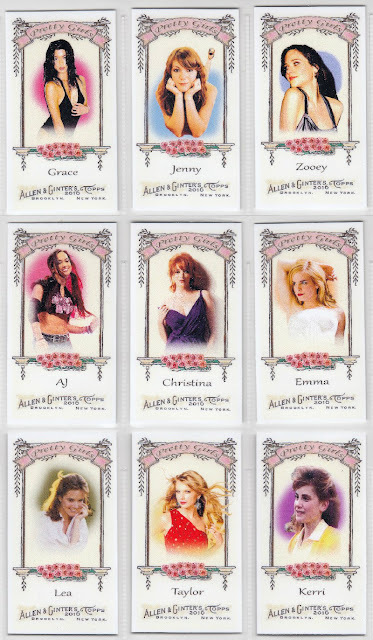 This custom card set included beautiful actresses, singers, and even the hottest wrestler I've ever laid eyes on... using the Allen & Gintermini format that many collectors have grown to love and cherish over the years. It's pretty normal for people to want to win a contest. Heck... who doesn't want to win free stuff? But the fact is... not all contests are created equal. 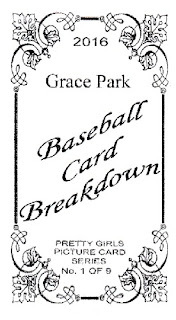 And this particular contest caught my attention, because if I won, I'd finally own a card of the gorgeousGrace Park. If you are familiar with Gavin'scontest... then you know that this was only part of the prize package. However... I'll share the other cards in another post. Today is Grace's day to shine.